The Nissan Murano is facing growing competition in its segment. The Hyundai Santa Fe has been completely redesigned, the Ford Edge offers a new performance model, while the brand new Honda Passport and Chevrolet Blazer look like serious challengers. Launched in 2015, the current-generation Murano now sports a larger grille, slightly tweaked LED headlights and taillights, two new body colours and some new wheel designs. Oh, and let’s not forget the USB-C ports and new seating surfaces inside. Furthermore, the 2019 Nissan Murano is safer than ever with the available Nissan Safety Shield 360, a suite of advanced technologies including emergency braking with pedestrian detection, blind-spot warning, rear cross-traffic alert, lane-departure warning, high beam assist and rear intelligent emergency braking. 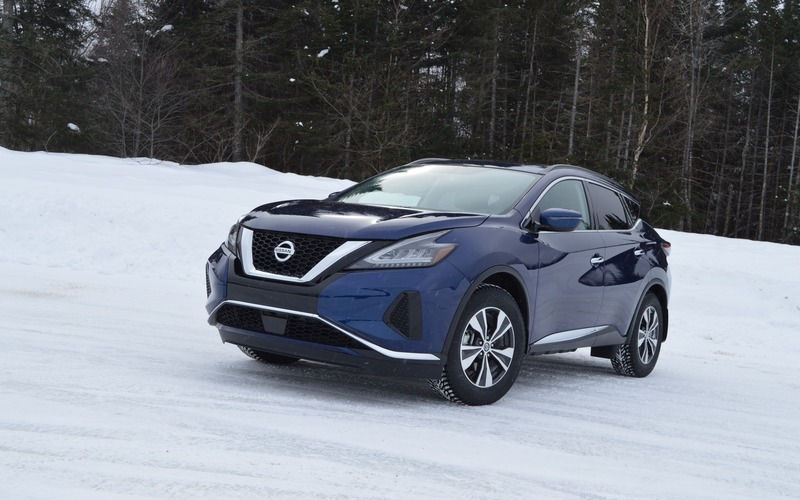 These changes and a few others will help the Murano, which is currently the brand’s third best-selling vehicle in Canada behind the Qashqai and Rogue. It uses a familiar recipe, but does it taste better? That’s what we aimed to find out. Under the subtly revised body is the same exact vehicle as last year. All four trim levels of the 2019 Nissan Murano (S, SV, SL and Platinum) boast a 3.5-litre V6 engine that produces 260 horsepower and 240 lb.-ft. of torque. It’s a pretty decent performer that may not match the new Ford Edge ST, but still delivers pleasant acceleration. The continuously variable automatic transmission (CVT) proves surprisingly efficient, resulting in a fuel consumption of 8.3 L/100 km on the highway and 11.7 L/100 km in the city—not exceptional numbers, but in the same ballpark as most direct competitors. The 2019 Nissan Murano also offers a fair amount of cargo room at 908 litres. On the other hand, towing capacity is a disappointing 1,500 lbs. While the exterior seems to age relatively well, it’s a whole other story when you step behind the wheel. The interior layout of the Murano is virtually unchanged from 2015—and it shows. There are too many hard plastics for a vehicle in this segment, while the instruments and eight-inch centre display look dated. 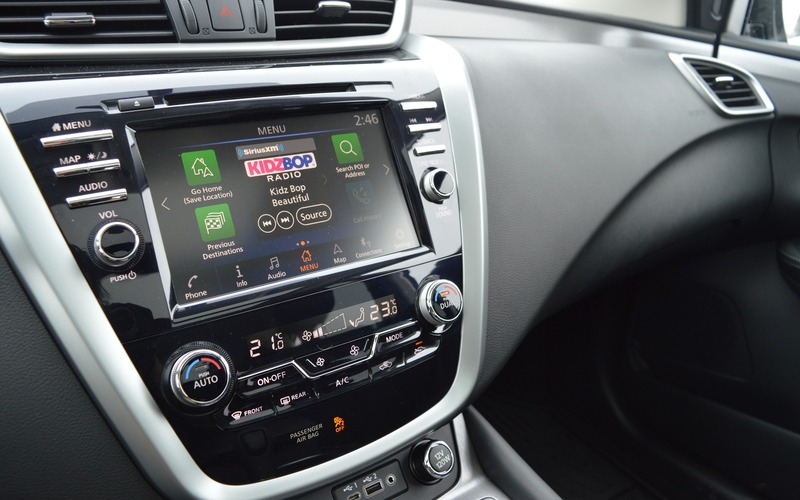 I’m not saying it’s ugly, but the 2019 Murano still relies on Nissan’s previous-generation infotainment system. That’s a shame because the one found in the new 2019 Altima sedan is a lot more impressive. On a positive note, the Murano earns points for offering Android Auto and Apple CarPlay as standard equipment. Front-seat comfort is above average, making the Murano one of the most comfortable vehicles in its class. 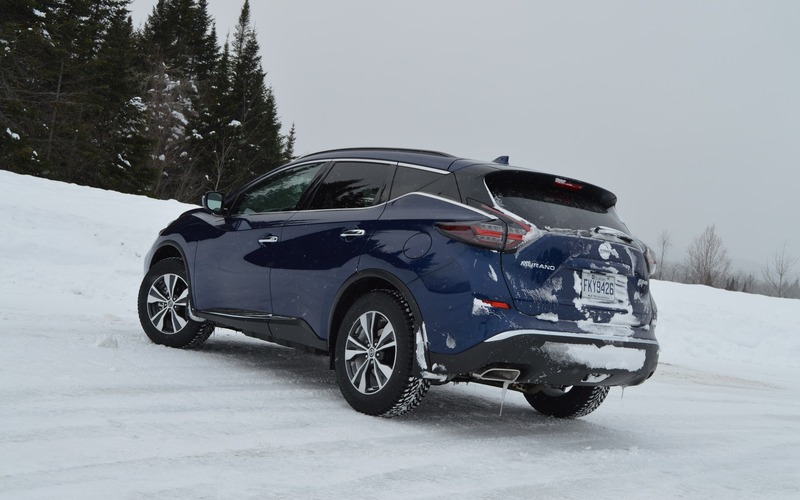 The 2019 Nissan Murano is already on sale in Canada starting at $32,248 before freight and delivery charges. This is for the base S trim with front-wheel drive, though. In order to get all-wheel drive, you must select any of the three higher trims, beginning with the SV at $38,748. The Murano SL and Platinum add a certain number of features and amenities while retaining the same powertrain. In its most expensive version, the 2019 Nissan Murano could almost pass for an Infiniti product, with 20-inch alloy wheels, ventilated front buckets and premium leather upholstery. There’s a price to pay, mind you: a Platinum model will cost you at least $45,998. 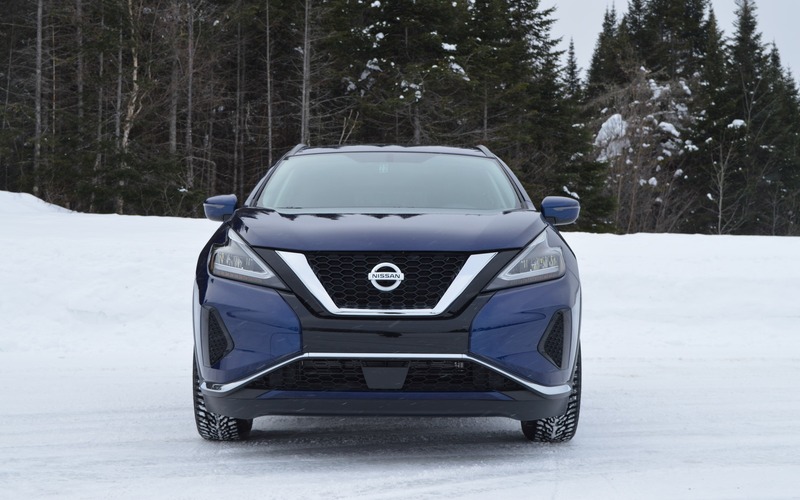 Ultimately, the 2019 Nissan Murano is a competent, fairly well-equipped and historically reliable vehicle, one that continues to represent a smart buy in the midsize SUV/CUV segment. While it’s showing signs of age, the current generation still has a lot to offer. But with hot new rivals like the Passport and Blazer, Nissan will need to come up with more than a mild facelift sooner rather than later. 7/10	Thanks to the CVT, the 260-horsepower V6 is moderately thirsty. 8/10	The Murano’s front seats are very comfortable, but the rear seats are a bit tight. 7/10	Acceleration is decent, although a performance model would be greatly appreciated. 7/10	The dated layout is somewhat offset by the addition of Apple CarPlay and Android Auto as standard equipment. 6/10	This SUV feels kind of big on the road, so don’t expect any miracles. 7/10	The Murano does a nice job, but it doesn’t really stand out in an increasingly competitive segment.